Pink polka dots and grey stripes are the background for this square-cut diamond ring, photographed with a macro lens at the West Chester Historical Society on High St in the West Chester Borough. 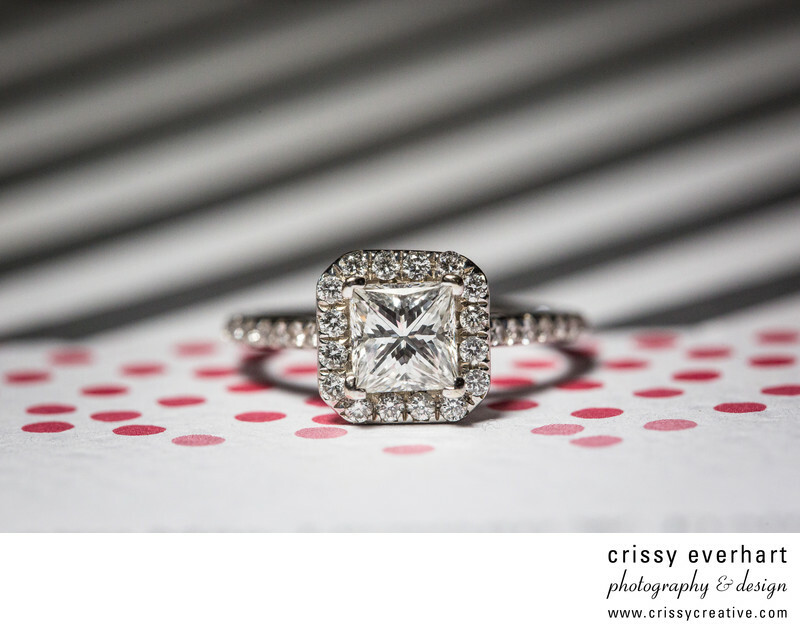 I like to photograph the engagement ring and the wedding bands on something unique to the couple, and in this case I used the invitation and response card patterns to make a geometric and simple ring shot. Location: 225 N High St, West Chester, PA 19380.